This NEW service is now available here at Luminate. We are one of very few salons currently offering this AMAZING service. Olaplex can be used along side a bleach or tint or even on its own to restore your hair back to health. 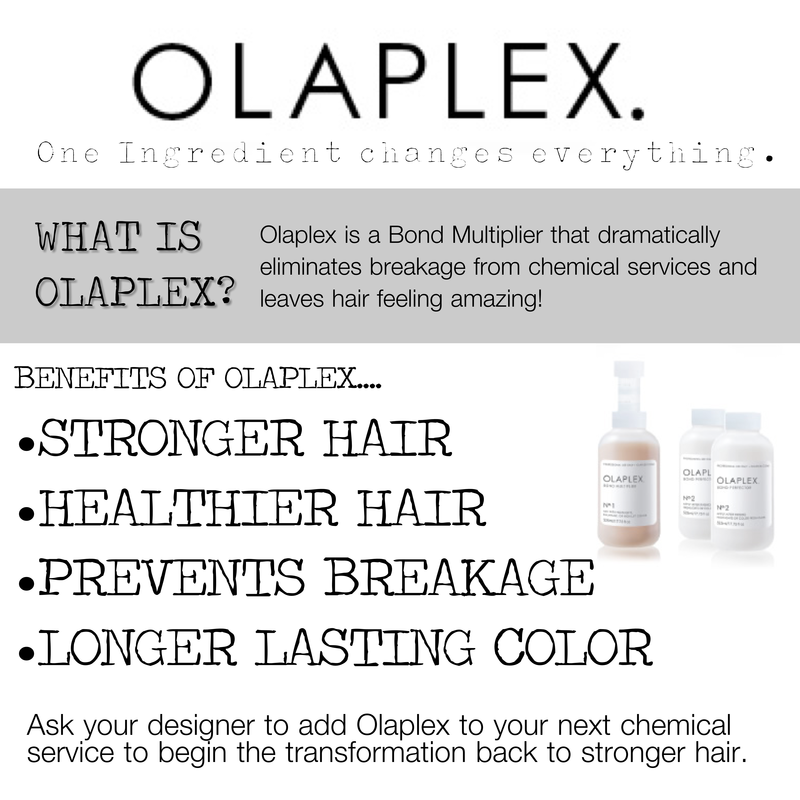 OLAPLEX™ is a single active ingredient, designed to reconnect the disulphide sulphur bonds broken by the process of permanent hair colouring and lightening. OLAPLEX™ is free of silicones, oils, aldehydes and parabens, it can be used by pregnant and breastfeeding women who want to change colour or just restore their hair. We call it hair insurance in a bottle. Think Kim Kardashian going from Black to Blonde over night, she used Olaplex to keep her hair in optimum health. Upgrade your colour with Olaplex for ONLY £25 more. Upgrade your hair with an Olaplex treatment (no colour service) £50. Course of 3 Olaplex Treatments £125 (Saving £25) ideal for those with severely damaged hair or those wanting to treat hair before and during a colour change.